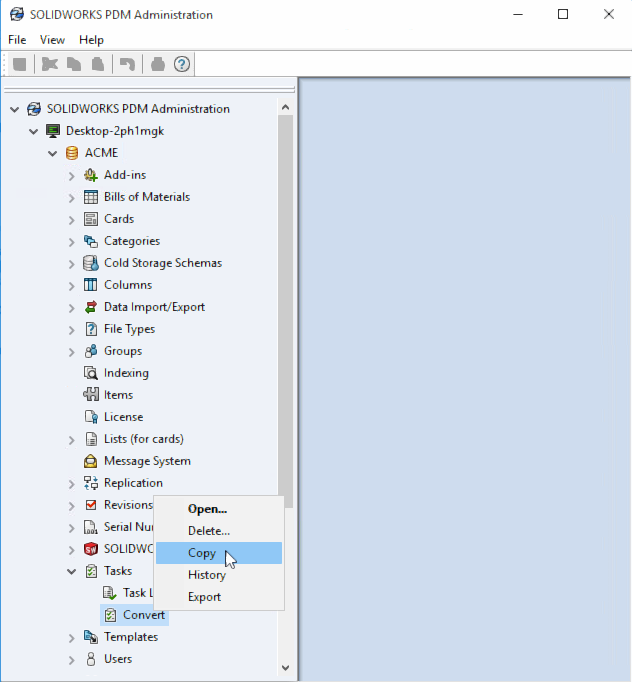 New in SOLIDWORKS PDM 2019 Professional we have the ability to convert sheet metal flat patterns. 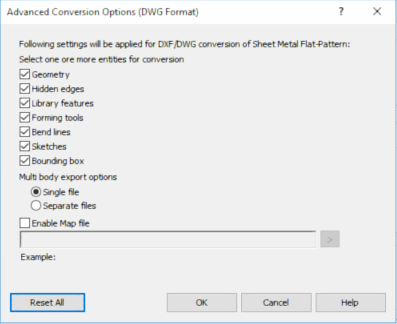 The Convert Task in SOLIDWORKS PDM Professional converts sheet metal flat patterns to the DWG/DXF file format. 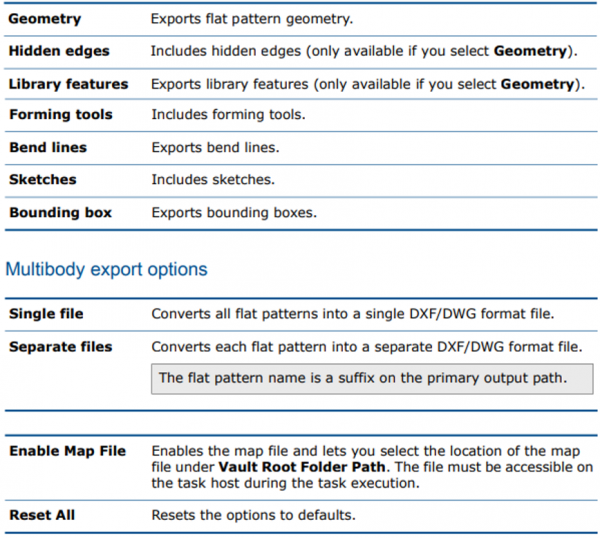 Here are the steps to create the convert task to produce the sheet mental flat pattern drawings. Double-Click the new copy of the task that is created to begin editing it. Start by renaming the task. 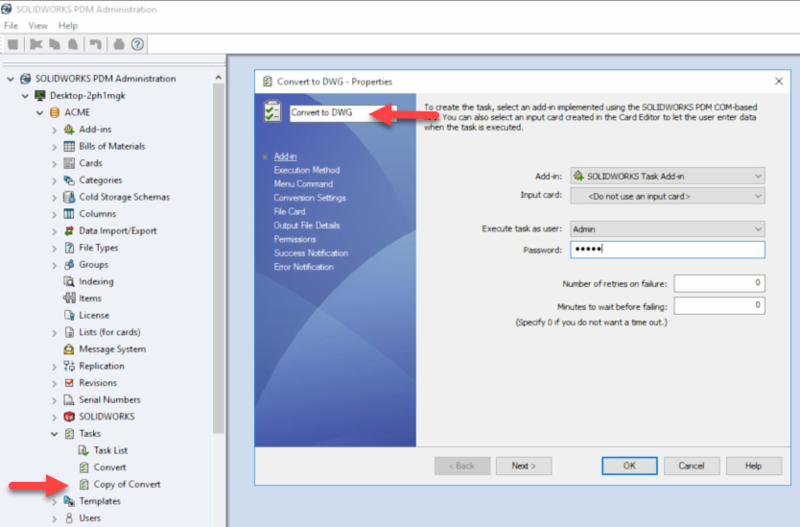 On the “Execution Method” screen, make sure that the task host is set up to run only on systems that have SOLIDWORKS 2018 or later installed. 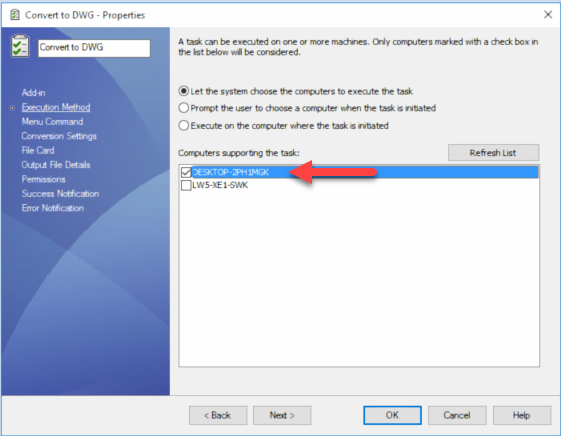 On the “Menu Command“screen, adjust the task’s label in the Right-Click menu. 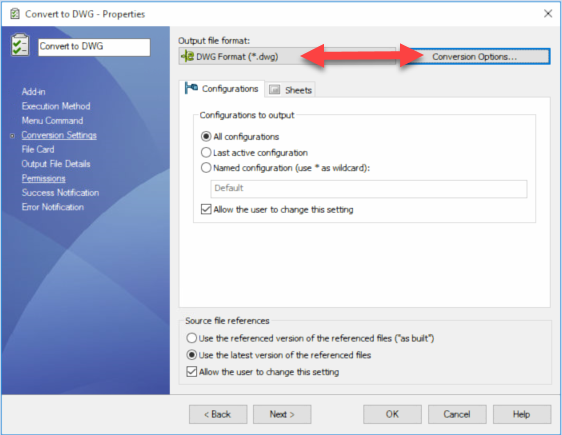 On the “Conversion Settings” screen, select DWG Format or DXF Format in Output file format: dialog box. Set up the Output File Details and other options as you do for other convert tasks. 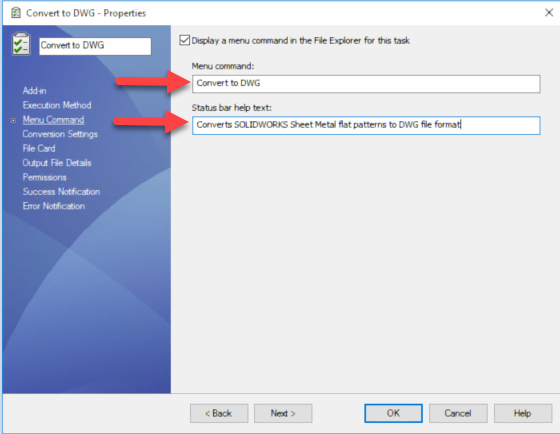 Once the SOLIDWORKS PDM Convert Sheet Metal Flat Patterns task is set up, you can now either launch the task from a right-click menu, or you can trigger it automatically from a Workflow Transition Action.